Go to original pattern for design DROPS 157-36. 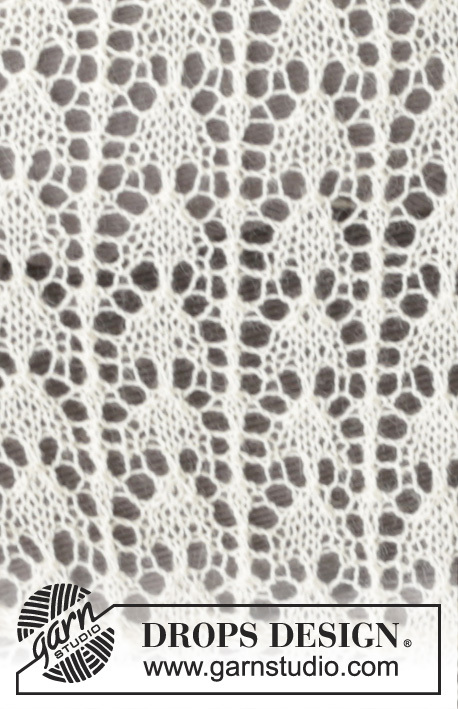 Knitted DROPS shawl with lace pattern in "Lace", "Alpaca" or "BabyAlpaca Silk". DROPS CIRCULAR NEEDLE (60 or 80 cm) SIZE 3.5 mm – NOTE! 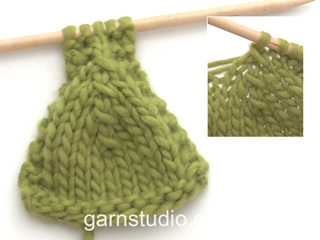 Read about the knitting tension below. 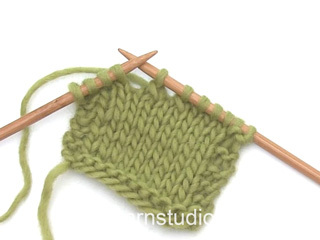 When using another yarn from yarn group A, there is no need to stretch to measurements, but place it gently out in shape. Leave to dry. 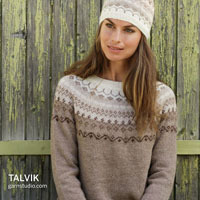 Repeat the process when the garment has been washed. Worked back and forth in 2 parts - from mid back and out to the side, and sewn tog when finished. 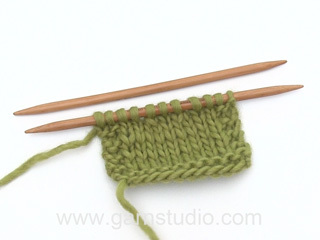 Place circular needle double (or use another needle in approx. 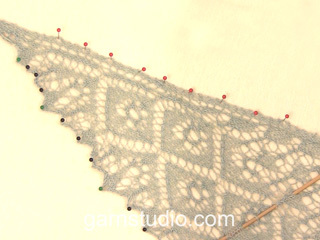 the same size in addition to the needle you are working on) and cast on 81 sts on circular needle size 3.5 mm with Lace or Alpaca to avoid a tight edge, pull out one needle. K 1 row from WS. Work next row as follows from RS: 3 sts in GARTER ST – see explanation above, A.1 A, (= 6 sts), A.1 B over the next 64 sts (= 8 times), finish with A.1 C (= 5 sts) and 3 sts in garter st. 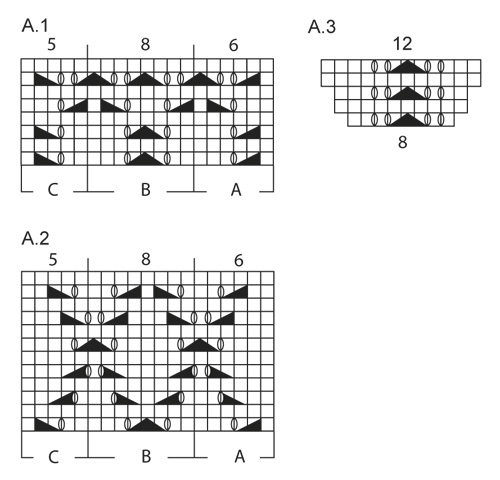 When piece measures 51 cm, adjust so that last row is 2nd row in diagram, work as follows: 3 sts in garter st, A.2 A (= 6 sts), A.2B over the next 64 sts (= 8 times), finish with A.2 C (= 5 sts) and 3 sts in garter st. Work A.2 6 times in total vertically. Then work as follows from RS: 3 sts in garter st, 6 sts in stocking st, A.3 over the next 64 sts (= 8 times), 5 sts in stocking st, finish with 3 sts in garter st. Work A.3 1 time vertically, loosely cast off. Piece measures approx. 35 x 77 cm. Work 2nd half the same way. Graft/sew the 2 parts tog at the cast-on edge st by st.